PROS no longer conducts tours at this point. 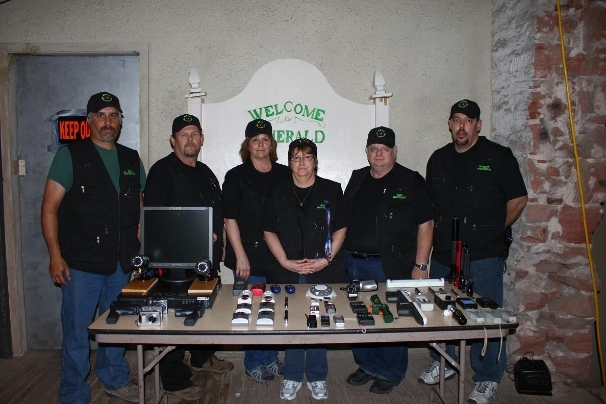 PROS will be conducting an investigation at our research site (LTRS) every Saturday night starting around 9 PM central. For this June, July, and August, we will start at 11:30 p.m.
Our investigation will be broadcast live on our webcam page. Join chat and be part of the invest. Join Pros for a live investigation of the Long Term Research Site. Be part of the PROS LTRS 2011 Research Project. We will start the evening with a seminar covering the theories and techniques used in paranormal investigating. The tools and equipment we use will also be on display for you to see and inspect. After the seminar and a Q&A session, the guests will take part in a serious research investigation.